Why Do We Produce Tears? Emotional Tears: Scientists are only just beginning to deduce why we produce emotional tears – is it to release hormones like the stress hormone cortisol, or more of a social signal, or both? Watch this wonderful TED talk about tears to hear about this in animated detail! Farting IS Good For You! Farting is not acceptable in public. Is this because of the noise? The smell? Or simply because it is a stark reminder that we are all little more than animals making our way in the world? In fact, we praise babies for farting, clapping and whooping like they have just won an olympic gold medal! 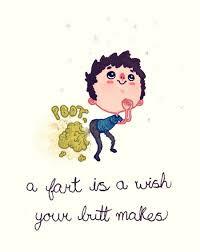 Farting is, simply, good for you. If we look at the science behind what is going on, as James Meadow a former University of Oregon researcher spent his time doing, we can see that each person has their own “Microbiome”; the cultures of bacteria that live on and in our bodies and indeed create a cloud around us all the time. Let’s look at the cloud around us – not all of this is flatulence but some of it is. When you fart, you emit a cocktail of gas but also plenty of bacteria suspended in this gas too. The average person farts somewhere between 8 and 20 times a day, producing half a litre of gas in 24hrs and although we think of farts as smelly, 99% of their volume is odourless, consisting of oxygen, nitrogen (that we have swallowed) plus carbon dioxide, hydrogen and methane produced by our gut bacteria. The smelly part of a fart comes from the sulphide products from our bacteria digesting what is in our gut. Without our gut bacteria we would be in a lot of pain, so if you aren’t farting it is a good indication that your gut bacteria aren’t doing their job probably. So next time you feel the need to ‘fertilise the air’, think of yourself as a well oiled machine working at peak performance! David Bowie was a legend without and shadow of doubt. He will be remembered for so many things; good, controversial but very rarely boring or ordinary. The physical appearance of his eyes was something he considered as an asset, despite it coming from a rumoured playground scrap with good friend George Underwood. Many people think his eyes are different colours, known as heterochromia, where each eye colour is distinctly different. However, this is not actually true. 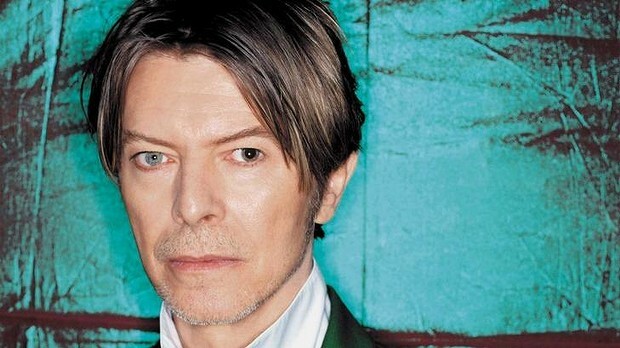 Bowie actually had a condition known as Anisocoria, where the pupil of one eye is permanently dilated (or open), showing relatively less of the colourful iris (in Bowie’s case was a glorious blue) of the eye and often making the eyes seem darker, especially in bright light conditions where the opposite pupil contracts and becomes very small showing off the iris. Obviously photographic tricks throughout the years also emphasised these difference and I have no doubt some photoshop activity may be involved in some to make his eyes look completely different. How can this relate to osteopathy? Well (very tenuously), if different levels of light enter each eye there may be effects on the information that is received by the brain and affecting things like balance. However, the brain being the marvel it is, after a period of time it would relearn how to process this information and probably have no physical long term effects on the sufferer. So that’s good! 1. Born David Robert Jones, Bowie changed his name in 1965, to avoid confusion with Davy Jones from The Monkees. 2. First band was called Davie Jones and the King Bees (1964), then came the Manish Boys, the Lower Third and the Buzz. 4. In 1967, Bowie thought of becoming a Buddhist monk. He stayed briefly in Scotland at the Buddhist retreat Eskdalemuir. 5. Retired for the first time as early as 1973, announced at a show at the Hammersmith Odeon in London. “This is the last show we’ll ever do…” he said. Turned out it was Ziggy Stardust retiring, not Bowie. 6. John Lennon co-wrote Fame with Bowie and Carlos Alomar. 7. David Bowie saw himself more as an actor than a musician. 8. The Elephant Man with Bowie in the title role was a big hit on Broadway in 1980. 9. Married model Iman in Florence in 1992. They met on a blind date arranged by a mutual friend. 10. Bowie played his good mate Andy Warhol in the film Basquiat in 1996. 11. Always ahead of the curve, he formed the first artist-created internet service provider, Bowienet, in 1998. You Body Has Already Detoxed For You, What Next? Firstly, a very happy new year to you, I hope you had a wonderful break if you were able to take one? With the new year comes all of the predictable resolutions to get fit and lose weight and most frequently, detox. The first two are often very valid and with a little planning and attention to detail can be achieved with a chunk of willpower and moral support but the fact of detoxing is a pure myth. If the body needed special food or beauty intervention (certainly never medical) in order to eliminate waste products from our body then we would never have survived as a species. Our organs, most importantly the liver and kidneys but other such as the lungs and large and small intestine, play vital roles within our body removing chemical and material such as the breakdown of dead or damaged cells. Plan Plan Plan. If your goal is a vague idea of how you would like to better yourself but no day to day detail of how to achieve it then you will get to Easter no closer than you are today. Start with vague and work down until you get to the nitty gritty e.g., in order to get to my goal of getting my gold handicap to 10 then I need to practice. Ok, how many times do I need to practice? 1000? How many times a month am I going to be able to practice, 5? So that is once a week at least, what days shall I set aside to do that? 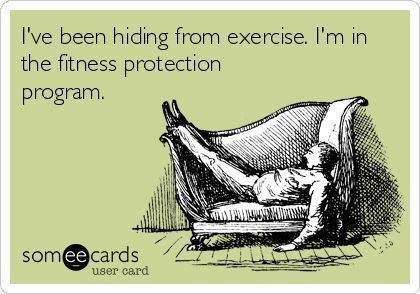 What time of day – before or after work or a cheeky session at lunch? How will I make sure I have the right equipment to practice, do I need to drive to get the train somewhere special? Do I need to budget in order to do this? You get the picture….! Write It Down. Written plans are much more likely to be stuck to than one in your head. If it is on an electronic diary then put a reminder for yourself so it actively gets your attention. Enjoy Yourself. If you are constantly thinking you are depriving yourself of having fun by trying to reach your goal you will become de-motivated very quickly. Even the most laborious task can be broken into small chunks so that you can still enjoy yourself around it. For example, if it is stripping wallpaper or re-grouting the bathroom, get the equipment together on one occasion, prepare the walls/tiles for everything that is needed to be done and then on a third occasion get going. Failing that, bribe friends to join you to make it more fun. You will find their boring jobs more fun to do than your own so maybe you can help them one day too. Be Realistic. If you have picked a job that is genuinely out of reach (shall we go back to getting that golf handicap of 10?) then make that goal a 10 year goal and break it down into chunks. A year may sound like a long time but it actually isn’t, after all, it is only 352 days until Christmas….. HAPPY NEW YEAR, whatever it is you want to achieve this year, I hope you enjoy yourself along the way.